An integrated amplifier which will meet (and even exceed!) your highest expectations when it comes to this kind of device. After all AARON no.1.a is the official follower of the legendary No.1, which was manufactured unchanged for more than a decade and is fancied by lots of music lovers all over the world up to this very day. 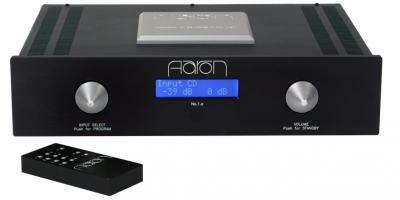 The technology of the new AARON no.1.a was tested with high end computers under laboratory conditions and, as a matter of course, fully optimized by the implementing of numerous and ample listening arrangements. Owners of very good and discriminating speakers will be certainly pleased with this amplifier. 2 ohms, a really impressive listening experience is guaranteed. As a future owner of this integrated amplifier you can look forward to a hand-manufactured device that excels at both sound and technique.